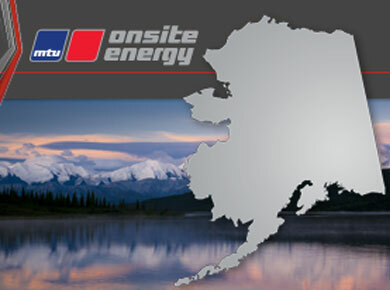 Pacific Power Group announced today that it is now the exclusive MTU Onsite Energy distributor in Alaska. Pacific’s Power Generation division was awarded the territory exclusively due to its success as an MTU Onsite Energy distributor in the Western U.S. With more than 50 years of experience providing power generation sales and service solutions for a wide variety of applications, investment in high level technical and safety training for its technicians, and the superior support provided to customers throughout the life of their power systems, Pacific was the top choice for the territory. Pacific Power Group is now the distributor for MTU Onsite Energy in Alaska, Hawaii, northern Idaho, Washington and Oregon. The company also offers extended service throughout the Western U.S. Previously, Pacific had shared the Alaskan territory with another distributor. Alaskan power generation customers will benefit from the comprehensive MTU Onsite Energy product experience of its sales team and technicians, its expertise in service and maintenance for generators of all brands, and the extensive service capabilities that PPG offers. Currently, PPG has a location in Anchorage, AK and has a team of mobile generator technicians available to travel throughout the state.